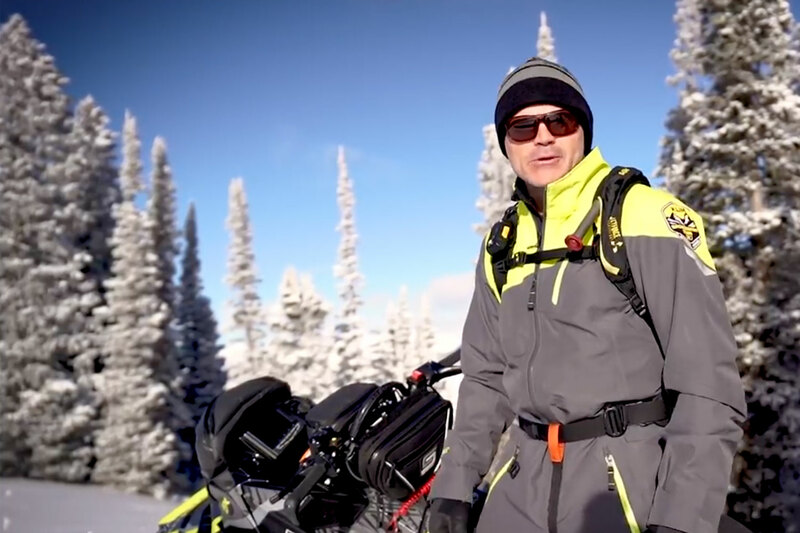 There's been so much talk about the new Ski-Doo Turbo as a performance power package, interest in a 2-up application of the new driveline hasn't exactly been in the headlines. We had a chance to sample the new Grand touring Turbo for over 200 miles last weekend and got a pretty good feel for it as an all-new model. "All-new" is hardly adequate to describe this sled. It uses the G4 chassis this year for the first time and combines the 900 ACE Turbo power package with a pDrive clutch combo and air suspension. The GT is a 137-incher, short by comparison to other 2-uppers in the business and that means quick, responsive handling pretty much comparable to a Renegade. We were surprised Ski-Doo kept the GT this length, considering space limitations when an extra passenger is on board. 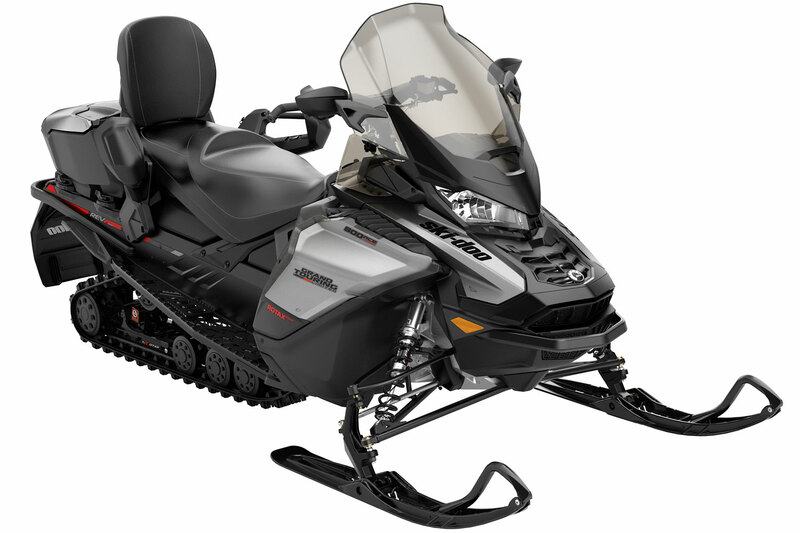 However, the seating layout, driver ergonomics and excellent luggage package is extremely well thought-out and thus, the sled never feels crowded or cumbersome. When it comes to drive-ability, your first striking impression is the transparency of the turbocharged 900 engine. There's absolutely no turbo lag and the engine spools up as smooth as a Rolls-Royce turbine. Frankly, if you didn't know its specifications, you'd never guess it was a turbo. Not until you tap the throttle and get into its power do you realize this thing is actually a monster. Seamless acceleration, near-perfect backshift and smooth, quiet operation are its hallmarks. Oh, and just for the record, we hate the throttle. This too-soft-to-the-touch electronic flipper needs more spring to give the rider a better feel for the position its at. There's a lot of power on tap here and it takes a long time to adjust to it when you're riding over rough terrain or making throttle transitions. Unless your focus is lazer-sharp on holding the throttle steady, you're jerking around like a rag doll. So simple, so basic - how did they miss it? The GT's comfort level is absolutely premium and the air suspension system is fabulous! It's easy to toggle more comfort from the left handgrip and it all happens quickly and efficiently. Those numbers on the dash display really do signal noticeable change in ride compliance and it's a wonderful thing when you're hauling gear and an extra passenger. Our verdict? The new G4 Grand Touring is an incredible improvement over the past and probably the most exciting 2-upper we've ever sampled!